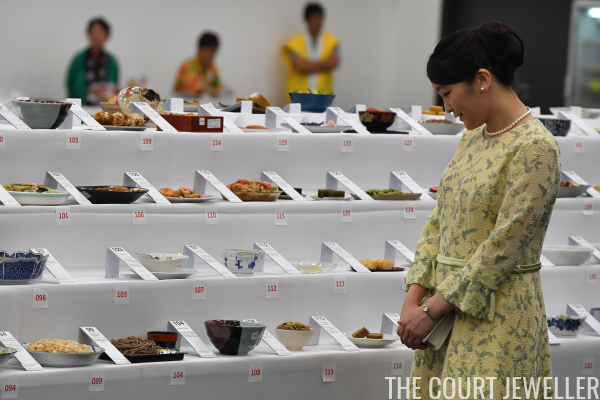 Princess Mako of Akishino, the eldest granddaughter of Emperor Akihito of Japan, embarked on a diplomatic visit to Brazil last week. The trip marked the 110th anniversary of the first waves of Japanese immigration to Brazil, and Mako brought some lovely jewels along in her luggage. 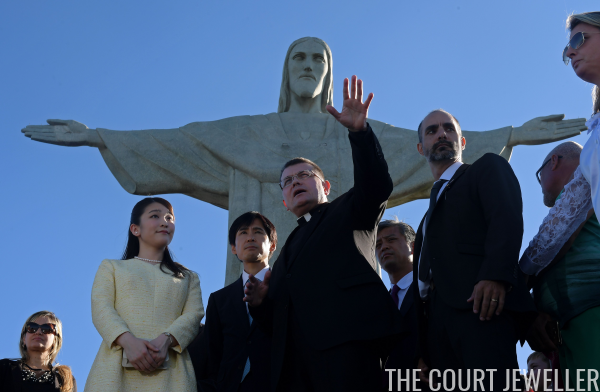 On Wednesday, Mako wore the classic jewelry uniform of Japanese princesses -- a necklace and earrings made of petite round, white pearls -- in Rio de Janeiro, where she visited the statue of Christ the Redeemer and attended an event at the Nikkei Association. 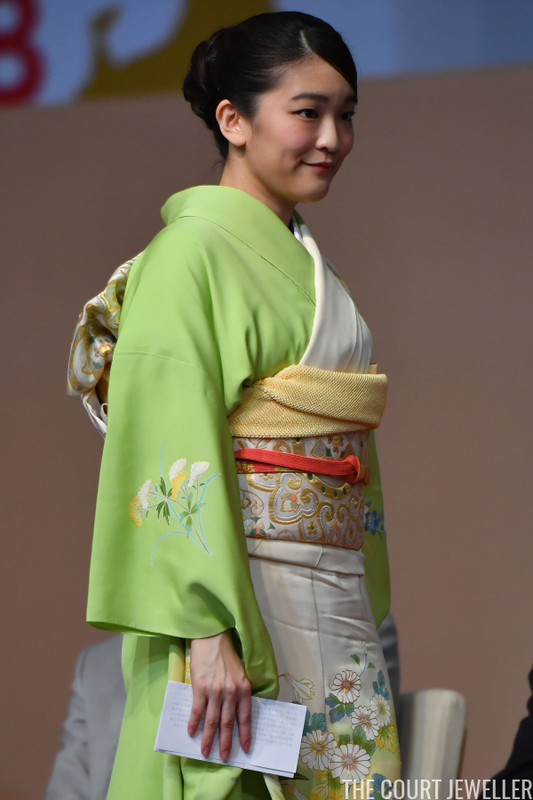 Mako's lovely traditional dress for Saturday's speech at the 21st Japan Festival in Sao Paulo required no Western jewelry to accessorize it. But she also wore pearls on Saturday to tour parts of the festival, pairing them with a patterned dress. 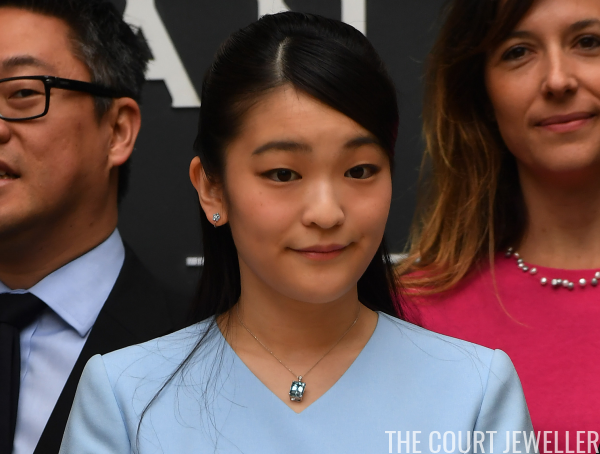 On Sunday, Mako headed to the Japan House cultural promotion centre in Sao Paulo, where she wore a lovely suite of jewels set with pale blue gemstones. Here's a better look at the jewels, which are perhaps set with aquamarines or blue topazes. 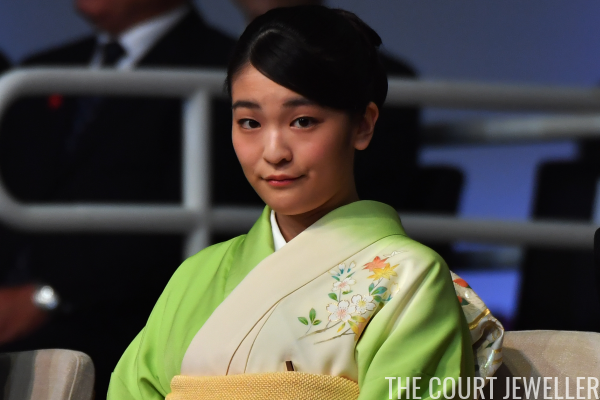 The postponement of Mako's engagement means that she'll continue to be an active member of the Japanese imperial family for the foreseeable future. It's hard for me to believe, though, that the Imperial Household Agency can see successful outings like Mako's trip to Brazil and still believe that their princesses should leave the family when they marry. 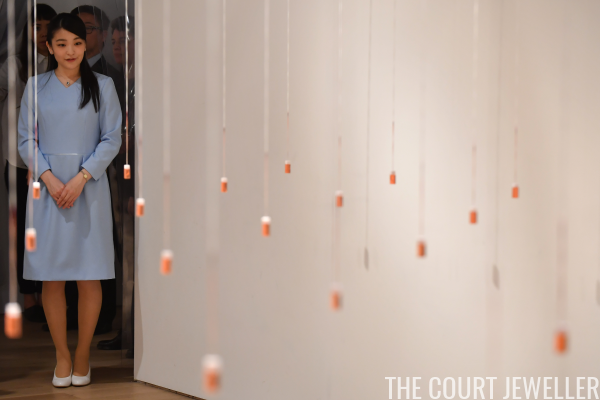 With Mako's younger brother currently standing as the only male member of her generation of the family, fewer and fewer representatives will be available for diplomatic trips in the future -- unless changes are made.